Lately I've been delving into the history and details of Marcel Duchamp's Readymades, the ostensibly off-the-shelf objects that Duchamp famously turned into art merely by declaring them to be so, thus altering the discourse of artmaking for much of the 20th century. 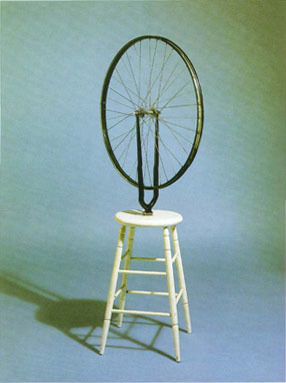 The first Readymade--or really, its nearest ancestor, since its 1913 incep date comes two years before Duchamp coined the term, and obviously, it involves some making, not just conceptual declaring--was Bicycle Wheel [above]. Though I'm a firm believer in Occam's Razor, there's something odd and invigorating about the fact that all of the original Readymades [begun starting in 1913-15] were discarded or destroyed, and extensive historical research of the 19th and early 20th century commercial manufacturing landscape has turned up precisely zero actual products that match up with Duchamp's. So a mystery of some kind, perhaps. 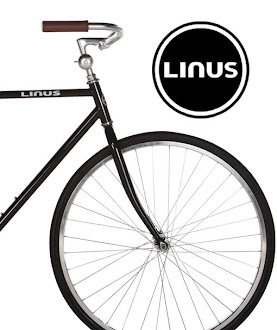 Fellow Duchamp fanboi and armchair art historian Stephen Fawcett has gone deep in his freshly published online paper, "the telescope stand inspiration for marcel duchamp’s bicycle wheel readymade". 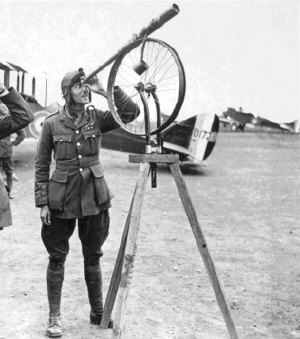 After finding a 1918 photo of some RAF officers using a remarkable improvised telescope tripod in France [detail above], Fawcett surmises that Duchamp must have seen something like this and replicated it. Or that he backdated his work, or just cold made stuff up about where the idea came from. Or--really, it's fascinating, but when the tale you're casting out there starts resembling an art world version of La Jetee, it's time to reel it back in.